Folly Field Beach Park is a gorgeous stretch of shoreline that is known informally by residents and long-time visitors alike as a "local's beach." Seldom overcrowded, with parking spots that are almost hidden by a line of live oaks and squat Palmettos, the park is a favorite for new and seasoned vacationers alike, and features ample stretches of shoreline located just a stone's throw from the wooded park's entrance. Folly Field Beach Park can be found along the northern half of Hilton Head Island, and is located in a mainly residential neighborhood, with larger condos and communities scattered along the oceanfront a couple blocks away to the south. 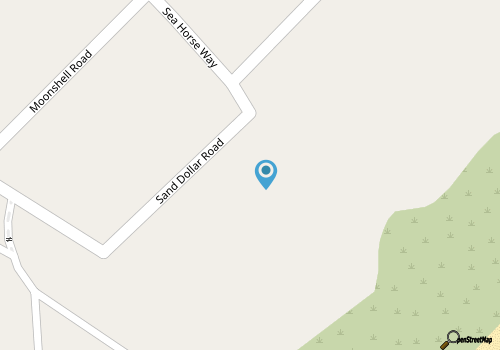 The small parking area and park can be accessed via Starfish Drive, a pretty street that's close to the oceanfront, and features clusters of beach homes that are shaded and fit right in with the lush, green scene. It's arguably these residential qualities that make the public parking area and public beach generally undiscovered, as to get to the area, visitors have to turns off of the William Hilton Parkway onto Folly Field Road, and then veer right past several blocks of beach homes before connecting with Starfish Drive. The directions may sound slightly arduous, but getting to the park via a vehicle or a bike is a breeze, and Folly Field Beach Park is located within easy walking distance for vacationers staying within the appropriately named Folly Beach community. The park itself is wooded, with several rows of parking spaces that amount to approximately 40 available spaces with accompanying parking meters. 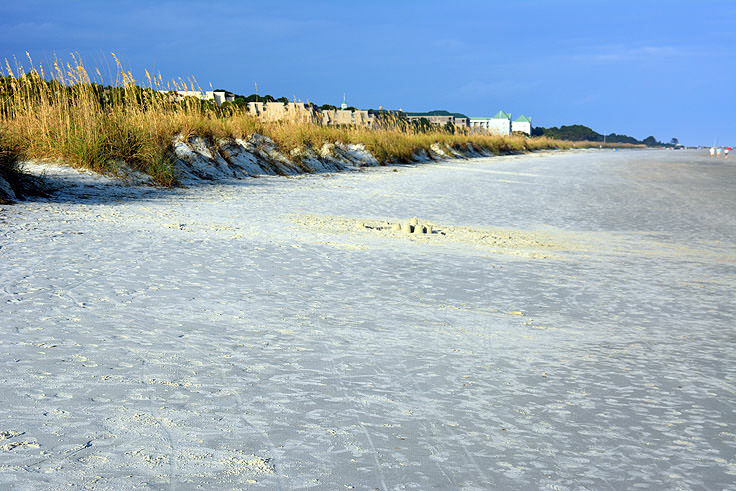 Parking runs around $.25 per 15 minute increment, but there is no time limit, and for a few dollars, day trippers can enjoy easy access to one of Hilton Head Island's prettiest beaches. 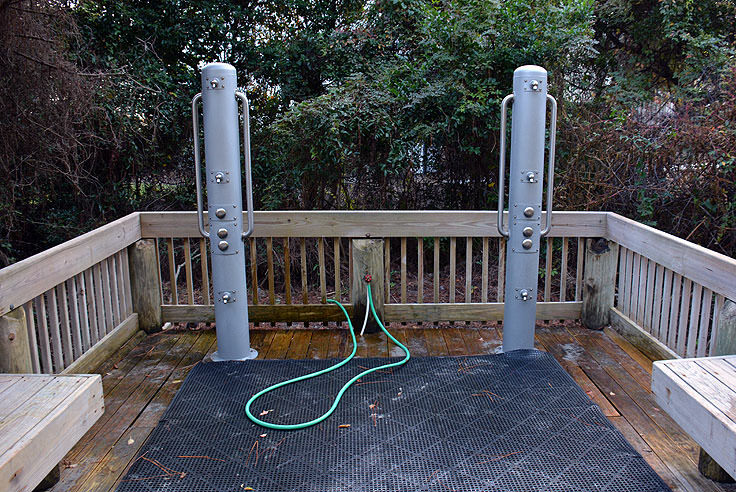 The park features restrooms, outdoor showers, and seasonal beach rentals, for umbrellas, chairs, and other sandy supplies on an hourly or daily basis, and though somewhat isolated, is within walking distance of several restaurants housed within neighboring resort communities. 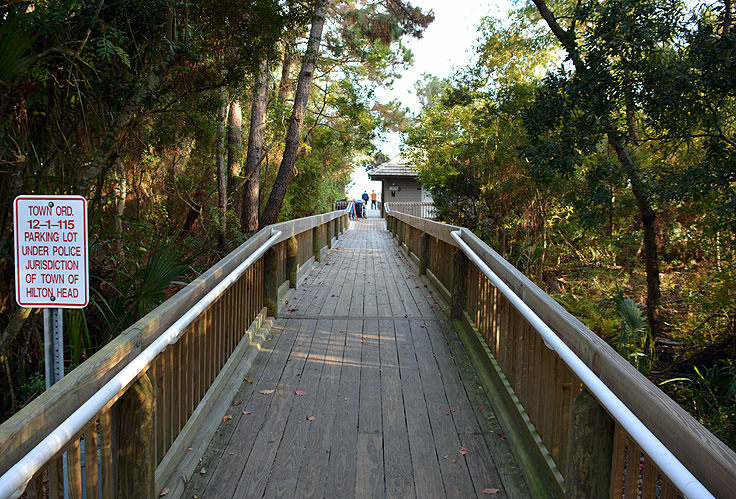 A short boardwalk connects the main parking area with the shoreline, and "beach matting" Is laid down at the end of the boardwalk seasonally, making the route to the shore handicapped accessible. Seasonal lifeguards are also on site, generally from Memorial Day until Labor Day. The beach itself, located just a couple blocks away from Hilton Head Island's other slightly secretive beach park, Driessen Beach Park, is wide and beautiful, with enough space to go around even in the height of summer. Granted, the width of the beach tends to fluctuate with the tides, but nevertheless, visitors typically have no problem finding plenty of elbow room for their chairs, umbrellas, and all their accompanying beach gear. The ocean water here is relatively shallow, with a flat ocean bottom that makes it ideal for wading, swimming, and body boarding. While the scene can certainly change on windy days or during storms, the beaches are generally calm, with few rip tides or large waves to contend with. In addition, as the tides ebb and flow off the sand, the beach produces a nice selection of tidal pools, which are small shore side pools of water that are ideal for the park's youngest visitors. All in all, the region is ideal for families, kids, water lovers, and even dogs, and is a popular beach that nevertheless generally remains fairly uncrowded. The Folly Field Beach Park is open every day in the summer season from 6:00 a.m. until 9:00 p.m., and every day in the winter season from 6:00 a.m. until 9:00 p.m. The individual "seasons" are dictated by the Daylight Savings Time change. All amenities, including showers, restrooms, and especially the parking spaces, are available on a first come, first serve basis, so visitors will want to plan accordingly. A good rule of thumb, especially on holiday weekends like 4th of July or Labor Day, is to arrive early or arrive late, and many locals attest that the evening hours are the best time to enjoy a long, lazy stroll along the shoreline with limited other beach-goers to share the scene. On the whole, however, because of the park's relatively discreet location in a primarily residential neighborhood, (and a good half miles away from the main highway), parking is most always available. Folly Field Beach Park is well-known in local circles as a gorgeous, and very convenient, beach access point, and newcomers would do well to find this almost secretive spot for a fun day at the seashore. 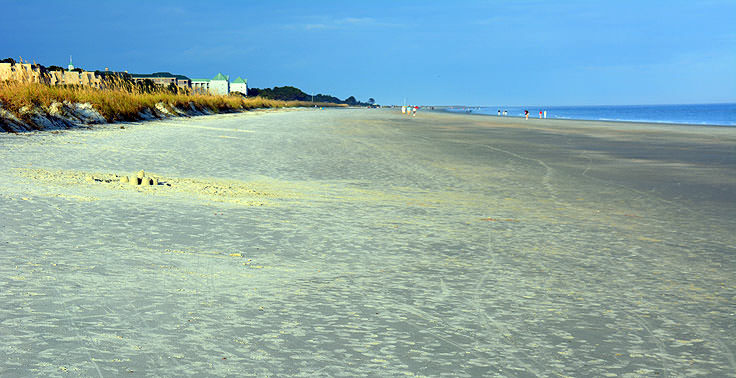 With a fantastic, close to the oceanfront locale, and all the little amenities beach-goers need for an extended afternoon or daylong stay, Folly Field Beach Park is a perfect example of Hilton Head Island's longstanding reputation as a gorgeous, and generally sparsely populated beach town.